Understand goals, organization, data, and processes to bring them together and connect business needs with system activities. Share the key aspects of intelligent business models at the best level of detail, from value-centric overview maps to accurate battle plans for system and business operational focus. Goal Level Activity Modeling - Coordinate process fragments with a hierarchy of business goals to clearly state the objectives to achieve and the governance to apply. Capture competence and connections of organizations within or across companies and business constellations. 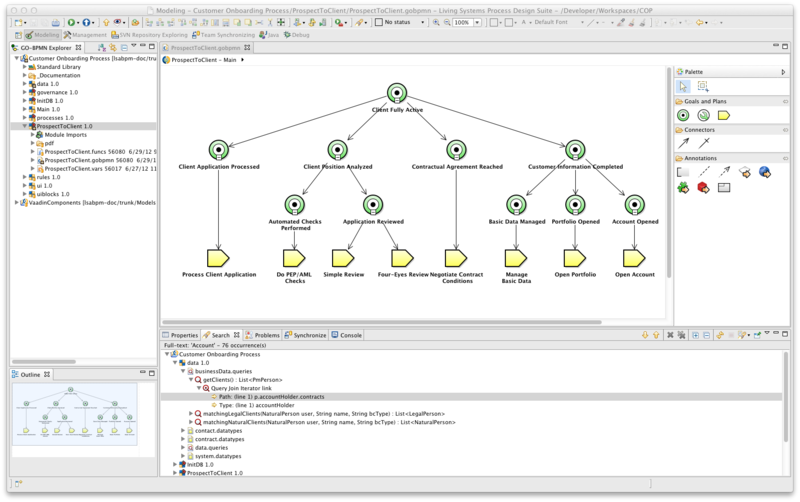 Describe and organize the key business objects for the application domain, from conceptual knowledge to detailed storage and retrieval. Mandate process compliance with directly executable BPMN workflows, combining flow-centric and event–driven activity structures. Express business situations independently from processes and cases, with conditions and actions to flexibly drive goals, plans, and flows. Engage participants on all devices with branded, rich screens blending user input with intelligent, context sensitive information display. Highlight critical events and information as they happen. Build deep knowledge from observations unfolding in time. Goal activity modeling represents value-adding business objectives as well as policy and safety governance requirements directly in the process model. 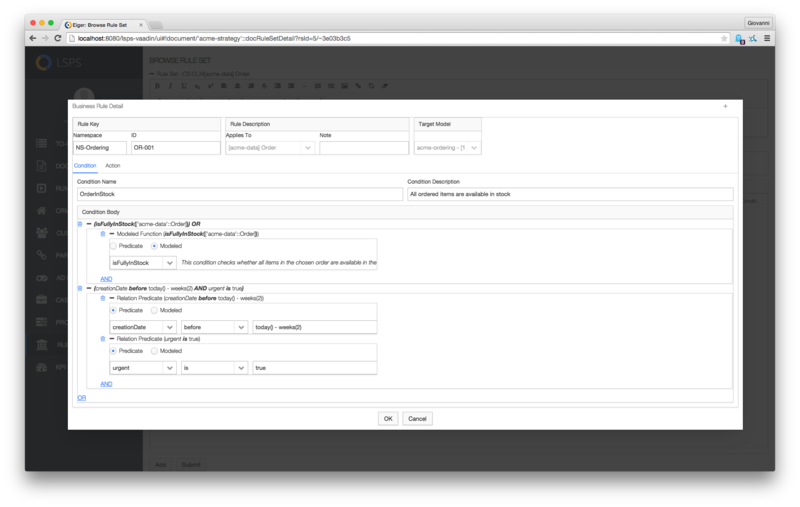 Smaller, situation-specific workflows use standard BPMN and are included in activity plans. Goals connect to plans and enable flexible and intelligent process steering and adaptation. Standard BPMN workflows are effective for simpler processes that handle well defined situations. LSPS enhances them with a whole new modeling level that represents business goals directly. Rather than using flows and gateway, the goal and plan level describes the general process structure with business conditions: this simplifies modeling and allows LSPS intelligent execution to automatically apply the best plan for each situation, to separate operations from governance, and even to seamlessly morph the process if a plan fails or a goal is not relevant anymore. Organizational modeling connects people and systems into an intelligent society that cooperates to fulfill business objectives with maximum effectiveness. Roles, groups, institutions, and individuals combine into a dynamic activation network for both process and information management. LSPS language captures organization concepts such as business unit, role, and permission within a specific aspect of the overall model. This aspect links to BPMN activities through standard means (pools, lanes, or direct activity parameters), and at the same time steers all information access operations belonging to Case Management work. Assignment of people to organization elements is completely dynamic, and a full organizational meta-process is provided, including delegation, escalation, and direct social interaction. Raw data and refined knowledge are the fuel for LSPS intelligent engine. 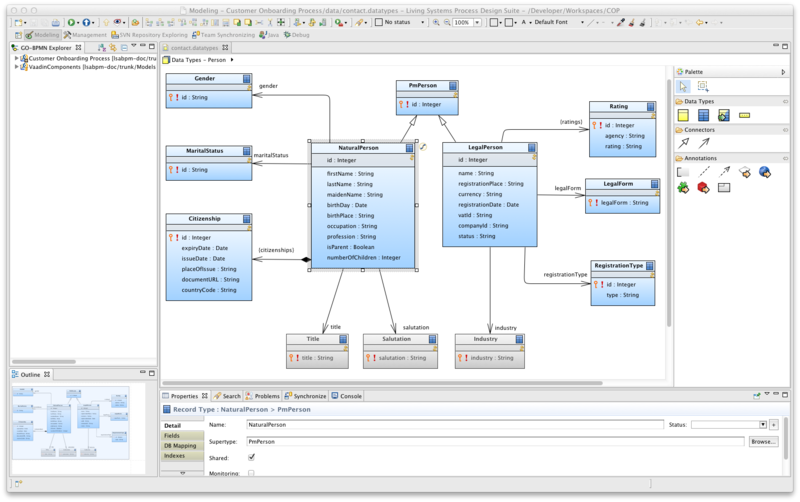 A sophisticated data modeling view enables the quick building of conceptual models, from plain entity-relationship business data schemas to AI class ontologies and metamodels without compromising IT best practices. LSPS offers a wide-ranging tool set for data and knowledge modeling. 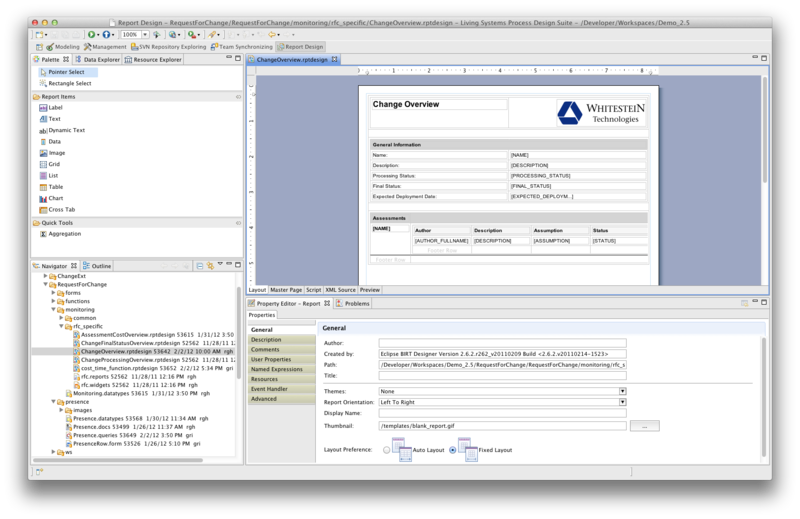 The baseline option supports graphical definition of business objects with their attributes and associations, which are then transparently mapped to relational data bases using standard enterprise ORM techniques. All mappings have automatic defaults but allow fine grained customization to cover a vast spectrum of performance, compatibility, and business needs; the resulting relational data fully enables third-party system integration. Sophisticated data structures distill the best traits of type systems in modern programming languages for unrestrained Knowledge Management capabilities backed up by XML-based serialization. Lastly, completely arbitrary data sources and knowledge representations can be created by leveraging specific LSPS API. 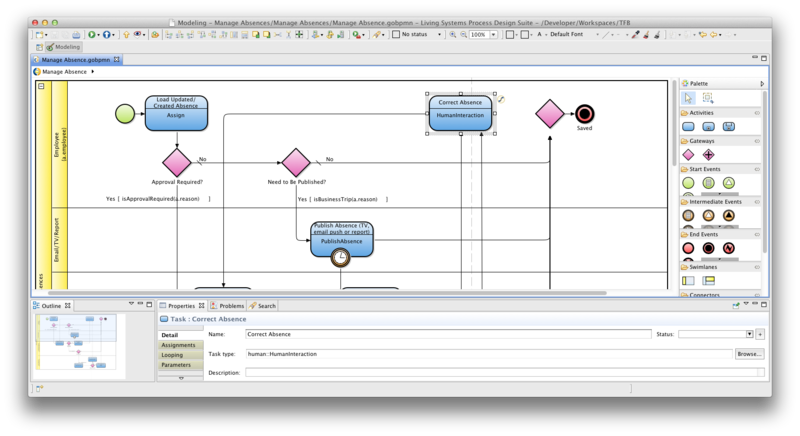 Activity modeling with BPMN ensures detailed agreement between business stakeholders and IT system operations. Defined workflows comply with the BPMN standard and are directly executable, while remaining easy to read and understand for managers and domain experts. 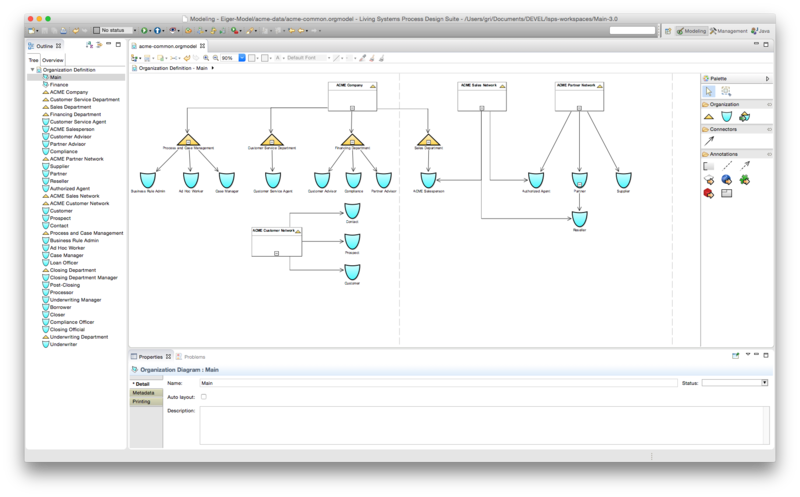 Activity modeling in LSPS at the plan or reusable procedure level plays to BPMN strengths. Building blocks such as activities, flows, gateways, events, pools, are all readily available to quickly build specific process fragments and enable fast turnaround for the feedback of business stakeholders. The well-defined standard BPMN execution semantics is completed in all formal details by seamless integrating it within the whole GO-BPMN modeling language. Data types, variables, functions, queries and all model elements are validated together with the BPMN workflow and ensure its correctness for immediate execution. 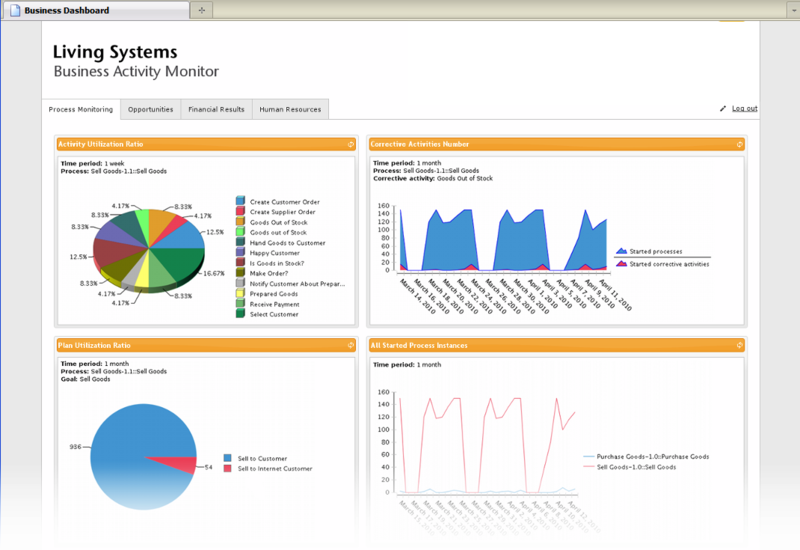 Full real-time and retrospective process audit become then available at no cost, for both system and human activities. Expressions define the identifying conditions for important business moments, tying data, organization, and activity graphical models together. They can be collected in functions and queries for reuse, and advanced knowledge modeling supports dynamically changing them during normal operations. Often decisions must be made based on unexpected or out of the norm conditions. In these instances, LSPS goal-oriented design is able to take these conditions, assess both current and target future states, then adapt according to flexibility that is encoded into the process model. Model designers define and combine encapsulated conditions at modeling time, and process participants can change them or include additional factors in real-time, ensuring that LSPS intelligently determines the appropriate path to achieve the stated goal in the face of unforeseen business context. Business rules driving organizations are event-triggered: some model simple reactions to an event, while many model more proactive behavior. LSPS models equally both kinds, with a one-to-one map onto the rich complexity found within real business environments. From conventional processes driven by reactive business rules with preset conditions, until more complex ones, with proactive inference-based rules directly driven by business goals. Process- and case-centric applications succeed when they bring together people and systems. User experience is paramount for high engagement and effectiveness. The powerful LSPS UI forms offer a framework with rich user interaction, adaptation across devices, and unrestrained styling options. Model-driven systems cannot compromise on user experience, but must provide compelling look and rich and engaging user interaction that complies with all the expectations for modern Web applications. The dynamic reality of current business environments demands change and flexibility not only in data and activity models, but also in the UI structure and aesthetics. The UI forms provided by LSPS thrive in the face of such challenges. Colors, styles, icons, layouts are separate from the core model, enabling outsourcing to specialized Web designers. Evolution in corporate image, fashion trends and device fleet is handled with hot, real-time theme upload and activation. 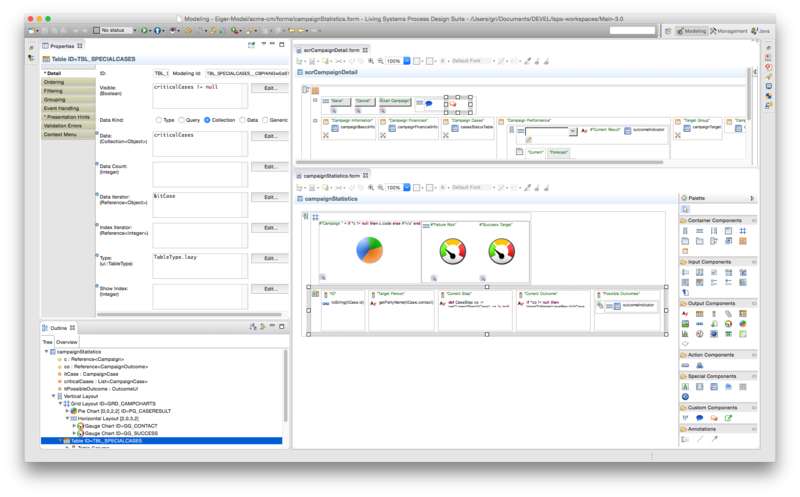 Full modeling language integration allows design-time validation and UI preview. Modular form design invites reusable libraries or highly customized components, whether modeled in full or leveraging SDK support. Intelligence welcomes the future without overlooking the past. It distills history, where the roots of the next achievements lie waiting for discovery. Every novel, insightful solution to unpredictable challenges becomes a new gem buried in organization practices, which LSPS brings to the surface. 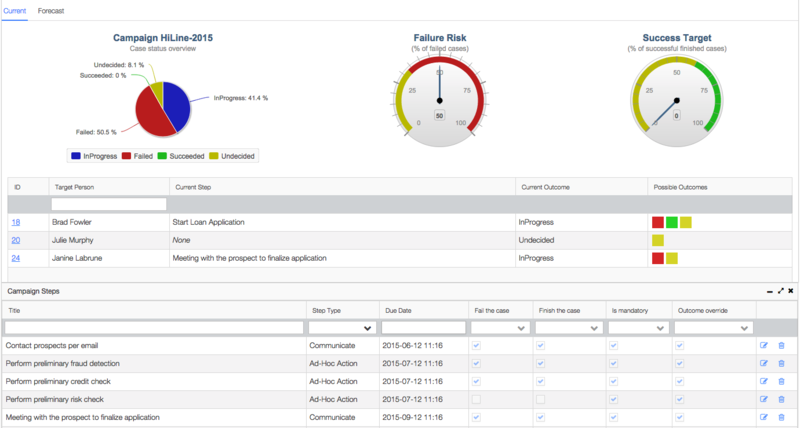 LSPS intelligent process flows adapt to dynamic situations, and leave a persistent execution trace for full audit. Likewise, adaptive case management empowers knowledge workers to creatively operate on business data while keeping a clear and stable change log. All these information sources can be combined with external channels to provide dashboard-based real-time business monitors, on-demand reporting, application screens blurring the line between operation and observation, and knowledge-centric predictive analytics. 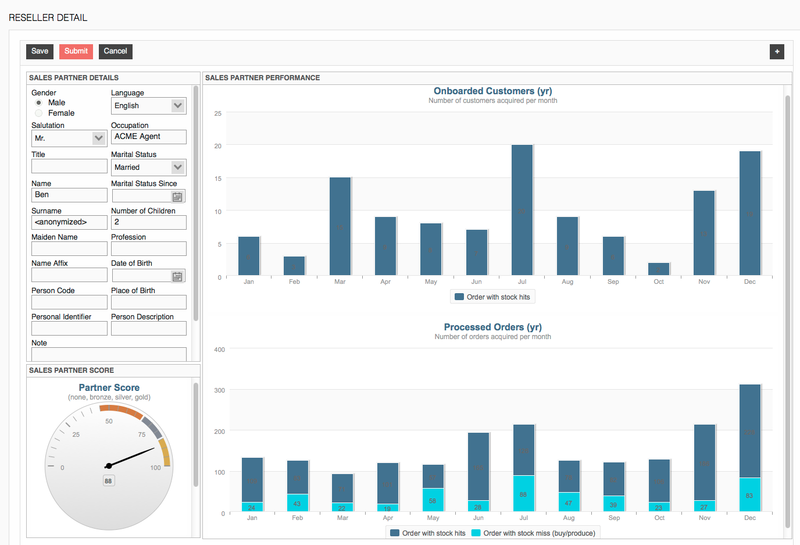 Individual reports and widgets can be modeled or configured during runtime, to provide the right people with the best view at the right business moment. Popular reporting designers are included and connection to third-party data sources is seamless.